If you saw my recent Instagram post, you know how thrilled I was to discover Olivine Atelier perfume, a relatively new vegan, cruelty-free scent collection! Since ditching animal products and animal-tested products, I’ve had a very tough time locating a perfume I didn’t hate. Everything I sampled seemed to smell like either the epitome of stereotypical new age-y hippiedom (not that I have a problem with new age-y hippiedom, I’m just not sure I love the scent associated with it) or sweet, sugary flowers (think of a body spray you’d buy at Claire’s for an 8-year-old). Until recently, I’d completely given up and accepted the fact that cruelty-free life for me would mean life without a signature scent; given the abundance of cruelty and exploitation that run rampant in the animal testing and agriculture industries, this seemed like an unacceptable, albeit sad, loss. I have nothing against embracing one’s own natural scent, but I mourned the option of being able to dab on a little extra magic before walking out the door. That is, until my lovely friend Ashlee of The Little Foxes introduced me to Olivine! Though Ashlee has never steered me wrong, I was skeptical as I waited for my sample pack to arrive in the mail. I won’t bore you with an overly descriptive narration of my first experience smelling each of the scents, so I’ll just leave it at this: I was intoxicated and overwhelmed (in the best way possible) by each of the six fragrances, and was ecstatic to have discovered the solution to my scent deprivation. Picking a favorite blend is impossible, but “Amongst The Waves” and “She Belongs There” called out to me a major way. 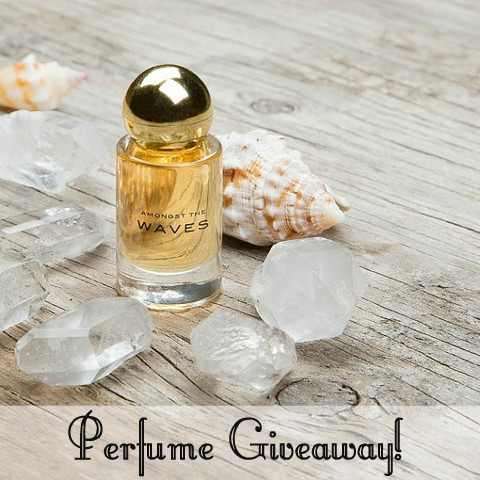 I’m so excited to be able to offer you lovely readers the chance to win a free bottle of perfume oil (a $48 value!) in the scent of your choice! Each perfume oil is 100% fragrance with no additives or carrier oils. Perfume oils arrive in a 5ml glass bottle and are accompanied by a gold glitter dipped feather (collected personally by Julie, Olivine’s creator, at a local bird sanctuary; no animals are harmed!) symbolizing beauty and freedom. The contest will run until Monday evening, at which point the winner will be contacted. Multiple options for how to enter can be found through the link below! Good luck! Prev Krže Studio Crowd Fund SALE! so, i was interested in buying these samples but i went to the site and her about section just talks about self love and her love of perfume. it doesn’t mention anything about this product being vegan, cruelty free, natural, organic or anything like that. I assume you checked into this product before posting this? I just want to verify this product is vegan before purchasing and the website doesn’t make it very clear. Thanks for your comment, you make a good point! I know all about this product from my lovely friend Ashlee Piper, a vegan fashion & beauty blogger who also works in PR for Olivine, so all my information has come straight from her. I understand you might not want to trust that thirdhand information, so I would definitely encourage you to reach out to Julie (shopolivine@gmail.com), the company’s owner, with specific questions. It is strange that those statements aren’t included on the website though- I presume there’s a reason- I’ll look into it and let you know what I find out! 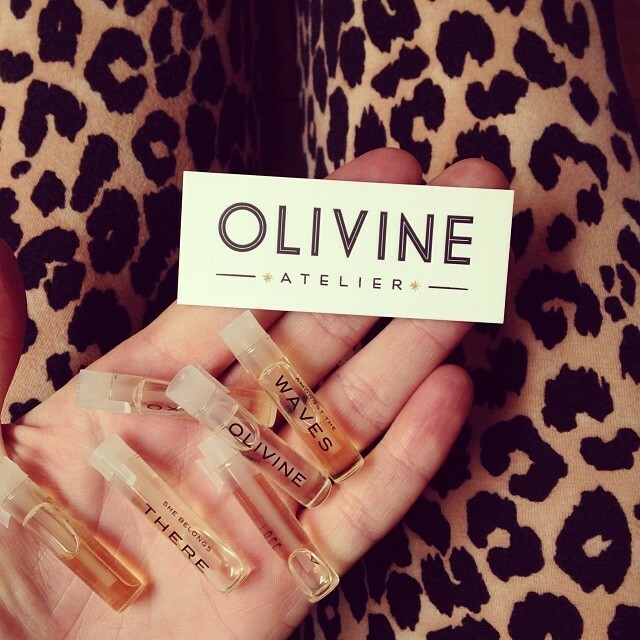 Hey, it’s Julie the perfumer at Olivine Atelier! Excellent question about it not being on our web site. It has been on the list of updates to add to our site for quite some time, I will make sure that it makes it to the top of the list today!! Ok thanks for getting back to me ladies! & yes it is helpful to have something in the about section about the product being vegan/cruelty free and/or made using natural ingredients. Including this information will only help your sales when it comes to consumers who are looking for certain things in the products they buy! Thank you this is a wonderful and generous giveaway! These sound so great!